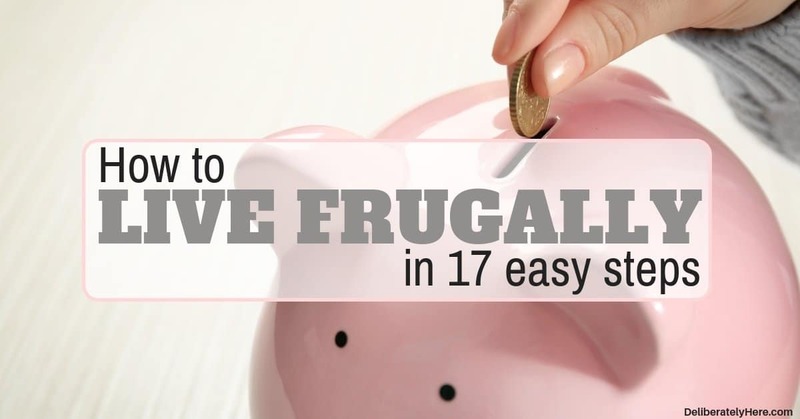 Are ready to start living a frugal lifestyle, but stuck wondering how to live frugally? With endless advice readily available to help you live frugally, it can become overwhelming when you’re just starting out. What advice do you take? What do you leave on the table? How do you even know what truly works? When my husband and I decided I would become a stay at home wife so I could be a homemaker and raise our kids, the decision wasn’t one that came easily. While we both knew and agreed it was what we wanted, we were nervous as we would be going from two incomes down to one. We weren’t sure how we were going to make it on one income. At the time, we didn’t have a budget, we were spending our money carelessly – we didn’t even know where it was going throughout the month. When we did make the transition for me to stay home, we decided that we had to become serious with our finances. 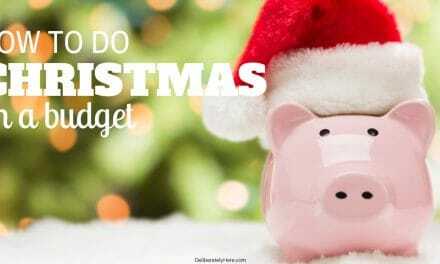 It was time for us to make a plan for our money and be intentional with it. No more spending money on things we didn’t need – that was no longer an option unless we wanted to go broke. So I started researching and looking for ways that we could survive on one income. All the ideas I found revolved around one big idea: frugal living. The more I researched, the more I got overwhelmed. I found lots of helpful and useful information, but the problem I faced was that I wanted to implement it all into our lives right then. 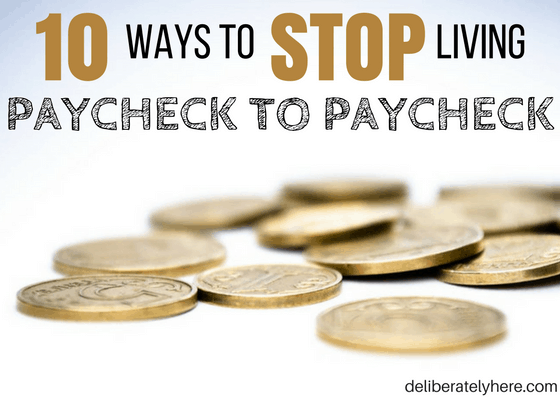 I didn’t want to slowly adopt one frugal living habit, then the next, then the next. What that resulted in was a bunch of half-attempted tries at frugal living and not really getting anywhere. Something I wish I would have learned from the very beginning of our frugal living journey is that you have to start slow. If you’re not used to living frugally, you have to ease yourself into it slowly or else you will burn yourself out over time and give up. Easing yourself into frugal living means you will start doing one or two frugal living habits until you have those honed down, then you will add a few more in there, then a few more, and so on. Though the enthusiasm is great that comes with wanting to jump in with two feet, sell your cars, and eat rice and beans for the next few years, you will burn out. Don’t be afraid to start slow. Remember, slow and steady wins the race. Every time. When you start slow and build a solid foundation for frugal living in your life you will be set and ready to face all the setbacks that come along with choosing to live frugally, and you will come out the other side still going strong. Unfortunately, if you just drank more water and that’s it, it wouldn’t necessarily help you live frugally – but, if you start drinking more water and pair it with these other tips on how to live frugally, you will be well on your way. Rather than drinking pop or juice throughout your day, choosing to drink water will help you be healthier and will help you save money. If your tap water isn’t good and you have to buy bottled water from the store to drink water, that may not be a cheaper option. In that case, it’s a good idea to spend a bit of money and buy yourself a good Brita water jug so you can drink your tap water. The Brita filter reduces the amount of chlorine in the water that passes through it and reduces metals, copper, cadmium, mercury, and zinc from the water to make it better for you and to help it taste much, much better. Rather than packing the kids up in the car to drive to the playground, try to find a playground or something fun for them to do in walking distance from your house, this way you won’t be starting your car up several times a week when you could be walking instead. Walking more will not only help you and your kids get exercise and lots of fresh air, but it will also help you save money on gas and car maintenance. Going along with the theme of walking more, if you have the option to, becoming a one-car family is another great option when it comes to how to live frugally. Shortly after my husband and I decided I would stay home, we realized it just didn’t make sense for us to be paying insurance and fuel for two cars when I didn’t have a job that I needed to get to, and especially since we lived in town that I could walk everywhere I needed to get. We got rid of our second car and haven’t looked back. Since then we have moved and don’t live in town or walking distance to any stores anymore, we have just had to become creative with how we plan out our weeks. I am able to go grocery shopping one evening of the week after my husband gets home from work, and though it’s rare, some days I drive my husband to work if I need to make it to a doctors appointment or go to a store that is closed by the time he gets home from work. Though it has become trickier, we have still been able to manage to stay a one car family and it has helped us save loads and loads of money. When people hear that my husband and I have never had cable, their jaws nearly hit the floor. Though the cost of cable is different everywhere, it is no surprise that it has saved us a lot of money. Would you be willing to give up cable to save money? The awesome thing is, there are so many alternatives out there these days that you can still watch your favorite movies and TV shows without spending a fortune each month. Netflix and Amazon Prime (get a free 30-day trial through this link) are both very affordable options that allow you to still watch your favorite TV shows and movies without the costly monthly bill. If you have spent any amount of time around my blog, I’m sure you know that I am a HUGE advocate of meal planning. I strongly believe that meal planning can help anybody save hundreds of dollars in food a month if they’re willing to put in the work. While meal planning isn’t always the easiest thing for people to get the hang of, once you do learn how to do it you will be wishing you had started sooner. It was when I finally started looking at my husband’s and my bills when I realized that we had spent more money on food that month than we had on our own rent. That was the turning point when I realized that something had to change. After researching how on earth we could spend significantly less money on groceries every month, I came across meal planning. It wasn’t easy for me to get the hang of, but it didn’t take too long – and now, it comes completely naturally and I can’t believe that there are still people out there who don’t know about how great meal planning is. If you want to significantly slash your grocery bill, you can find some great, free, meal planning resources here. Really and truly, this should be number one on the list of how to live frugally. 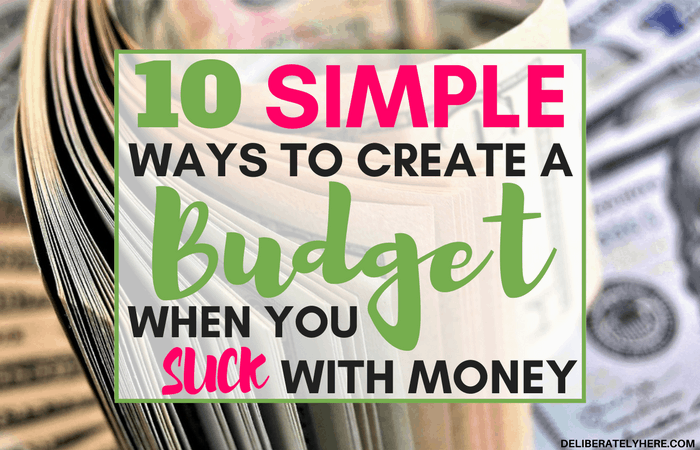 Budgeting is the most effective way to get control of your finances. Creating a monthly budget allows you to see exactly how much money you have coming in every month, and how much money you have going out every month. It also allows you to break your spending down into categories so you can easily see how much you are spending on gas, insurance, food, clothing, etc. every month. A budget will also give you the exact amounts that should be spent on certain categories so you can see where you are going over budget and where you are under budget on your monthly expenses. Shopping sales is a great way to save money. Did you know that your local grocery store most likely has a clearance section? I didn’t either, until a little while back. Now that clearance section is the first place I go when I get into the store. I am usually able to grab at least one or two items off of my grocery list from the clearance section. It’s also a good idea to check the flyers before you go shopping so you know which stores to get certain items from to ensure you’re getting the best prices and not paying more than you need to be. When it comes to shopping for items like clothing, furniture, games, and more it is always a good idea to check second-hand stores before going to the mall to purchase it. My husband and I buy any clothes we need from second-hand stores and by doing so are able to find great quality clothes for far cheaper than if we were to buy them at any other stores – and people don’t even know our secret, that most of our clothes come from a thrift store. While it will take longer to find what you’re looking for and you will likely have to sort through lots of junk and bad quality items before you find what you are looking for, there’s a good chance that you’ll be able to find nice stuff that perhaps just need a quick wash and they will look brand new again. Through this pregnancy, I have bought all my maternity clothes from the thrift store and we have spent pennies compared to what we would have spent if we were to buy these clothes brand new. Buy and sells and the Facebook marketplace are also great places to shop for items for a good deal. Though unlike shopping thrift stores, it is important to keep in mind when you meet up with people to buy items from the buy and sells that you meet in a public place and take someone with you, just to be on the safe side. As my husband and I gear up to have this baby, we have been slowly collecting everything we need – and most of it has come from local buy and sells. Though some people may cringe at this thought, if you are careful of what you buy from buy and sells and are sure to give everything a good, thorough wash (or two or three or four), there should be nothing wrong with it. We have managed to get all the clothes we will need for our babe (from newborn all the way up to 12 months) for $10. We have spent a grand total of $10 and are equipped with all the clothes we will need for this baby for its first year. We have done this by looking on buy and sells every day for either cheap or free baby clothing in our area and we have managed to get several big bags of free clothes, as well as two other bags for $5 each. We also got other baby items that we need for free from the buy and sells. Like with anything else in life, having a baby doesn’t need to be as expensive as many people make it out to be. You just have to be diligent and creative with what you buy and where you buy it. With the click of a button (or the turn of a knob), you can instantly start saving money on your monthly energy bill. I used to be a lover of washing clothes in warm or hot water. I assumed since my husband worked a physically demanding job and came home every night with dirty clothes that washing them in cold water just wouldn’t do the job. So, I stuck to my ways of washing our clothes in hot water. It wasn’t until a while back when I was reading on the subject of washing clothes in cold vs. hot water that I decided to give it a try. I had heard conflicting opinions and, since I use a homemade powder laundry detergent, I had been told that washing in cold water wouldn’t work with my homemade powder detergent. Despite that, I decided to give it a shot. Much to my surprise, our clothes came out of the wash just as clean as they came out when I washed them in hot or warm water. So, if washing clothes in cold water truly can clean them just as good as washing in hot water, why do so many people still waste money washing their clothes in hot water? The most obvious answer I could come across was that it was all in their minds. People simply believe that by washing their clothes in hot water, they will come out cleaner than washing in cold water, without having any knowledge to back the subject up. Another reason why you should wash in cold water rather than hot water is that cold water causes much, much less damage to clothing. When washing in hot water, clothes will often shrink, wrinkle, fade, and may also make fresh stains on clothes set and become hard to get out. Washing clothes in cold water won’t cause these damages to your clothes and by doing so will extend their life. Hang drying clothes will help extend the life of your clothes by letting them dry naturally and without intense heat, and help them dry in their natural form rather than shrinking. It will also save you lots of money by saving energy when you don’t use your dryer. You can either use a clothesline outside to hang dry your clothes or if that isn’t an option, you can use one of these drying racks to dry your clothes inside. Hang drying your clothes will take quite a bit longer than if you were to just toss them in the dryer, so make sure you don’t leave doing laundry until you have no clothes left and need them now. Wash your clothes regularly so you have plenty of time for hang drying them. Packing lunches every day rather than buying them out at work will save you significant amounts of money every month. If you spend an average of $15 every workday on buying lunch, that’s $75 dollars in one 5 day work week, and works out to be a total of $300 a month spent just.on.lunch. Even if you only buy lunch a couple times a week, say half that amount, that still works out to $150 a month spent on food and doesn’t include groceries or other times you go out to eat or for coffee. I don’t know about you, but that is way out of our budget. My husband brings a homemade lunch to work every day. Packing a lunch from home is healthier and much, much more cost effective. When it comes to buying things like presents or anything else you may need to go to the mall or store to buy, your innocent shopping trip can quickly escalate from a quick trip to the store to buy one thing to spending far, far more than you initially meant to. Shopping online helps you curve the temptation that comes from walking through a mall. Even if you have a specific store in mind that you are going to and you tell yourself that’s the only one you are going to go to, it can be hard to control yourself when there are signs plastered everywhere that promise sales and prices that are unbeatable. Now that quick, inexpensive trip to the store has turned into a mini shopping spree and you barely even had time to blink. When you know what you want to buy, simply look it up online on Amazon or another online store to find exactly what you need and buy just that one thing. You can also earn cash back when you buy online by buying through Ebates. Ebates is a free company that offers you exclusive coupon codes and sales and offers a certain percentage of cash back on any products that you buy when you make purchases through them. You can shop at stores like Amazon, Walmart, Macy’s, Kohl’s, Forever 21, and thousands more. Learn how to earn cash back when shopping online here. One of my favorite ways to that we have started and continued to save money with frugal living is to cut our own hair. I always struggled to swallow the fact that my husband had to pay $20 to get a haircut and I had to pay $25 for just a trim. Since hair is something that just keeps on growing and needs to be taken care of to stay healthy, I was desperate to get rid of that cost. So, I went to Walmart and bought a haircutting kit that came complete with scissors, a comb, a hair buzzer with multiple different length options, and an apron and started cutting my husband’s and my own hair. The haircutting kit that we bought has more than paid for itself several times over by now, so it was definitely a good investment. If you’re not comfortable cutting your own hair, what my sister and I have started doing is cutting each other’s hair since we find it easier to cut someone else’s hair than our own, and it works out perfectly. Find someone who you trust to cut your hair, and offer to cut theirs in exchange so you can both save on hairdressing costs. While this may seem like one of the most obvious tips out there, so many people are paying for things they don’t need and don’t use without even thinking about it. You may be paying for a monthly subscription to a magazine or website that you no longer use, a home phone line if everyone in your family has cell phones, and more. Write down all your monthly expenses on this bill tracker then look through them and find a few that you really don’t need to be paying for at this time in your life, and get rid of them. Rather than spending money on activities to do for yourself or your kids, keep your eyes on the paper and local groups to watch for free activities. Communities will often have free local activities that are fun, help you meet new people, and get you out of the house. And they’re free! This could be a free swim day at the pool, a free workout class, a free reading group at the library, and much more. Taking advantage of these free activities is a fun way to meet new moms and kids and get yourself and your kids out of the house for an afternoon. Using homemade cleaners to clean every nook and cranny in your house as well as homemade dishwasher and laundry detergents is a great way to save money with frugal living. I use a homemade powder laundry detergent for our clothes and they come out fresh and clean every time. It even works on my husband’s dirty work clothes. Finding a homemade detergent and cleaner that works for you is a great way to save money as you can often make them in big batches so they will last you many months (or even a year) and be a fraction of the price of buying it at the store. You can also find lots of different recipes for homemade cleaners to use around your home. My favorite homemade cleaner is simply a vinegar water mix that has been infused with lemon peel. Mmmm. It smells good and cleans good. Plus it’s natural and cheap to make. Just grab a few spray bottles to keep around your house to put your homemade cleaners into so they’re ready to go when you are. You might be thinking that doing something small like hang drying your clothes or drinking water really won’t save you any money, the truth is if that is all you do, then no, you won’t notice a huge difference in your monthly bills. But, if you pair doing these things with several other frugal living tips from this long list you will be surprised by how much money you really can save, just by living simply. 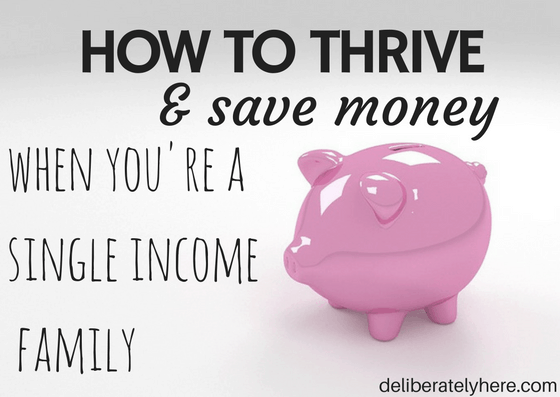 Learning how to live frugally doesn’t have to be difficult or overwhelming. Just remember to start slow. Start with one or two frugal living tips and really hone those down to an art. 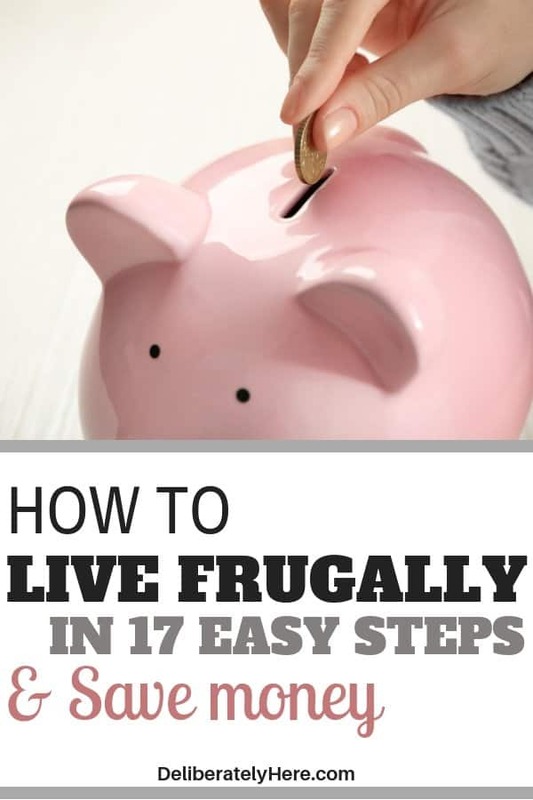 Then once you’re confident in those, slowly start adding in more and more of these ways how to live frugally into your daily routine – before you know it you will be well on your way to being a frugal living expert. 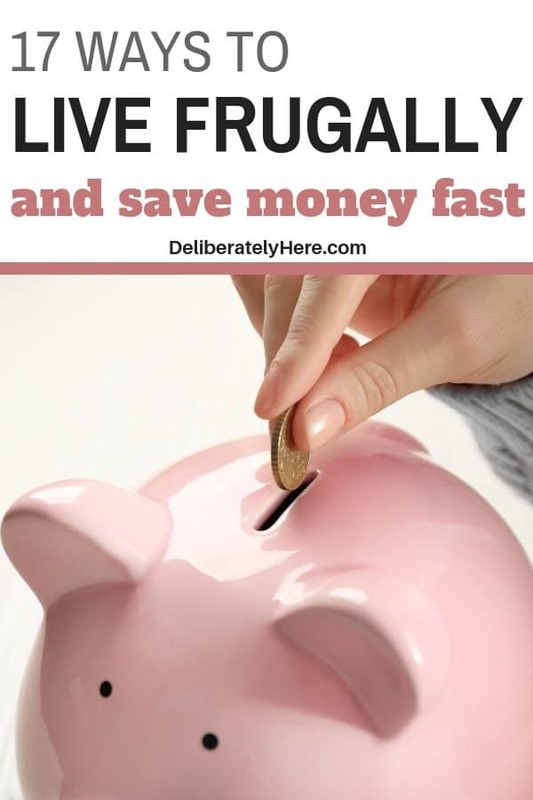 What are a few of your favorite ways how to live frugally? I’d love to hear from you!